‘KLUSTERFUK’ – The Next Step In Tech N9ne’s Sound? Tech N9ne’s long awaited KLUSTERFUK EP will mark the first release from the Kansas City King in 2012, but more importantly, the EP will also mark the first Tech N9ne project to be entirely produced by a band. 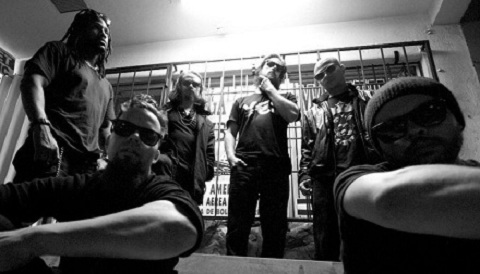 Strange Music’s resident group of Miami maniacs, ¡MAYDAY!, has taken the helm on the EP with exclusive production. With the release of “Blur” featuring ¡MAYDAY!’s Wrekonize, it became abundantly clear that Tech N9ne was once again opening the doors to a new chapter in his legacy. Much like the arrival of Everready: The Religion, could KLUSTERFUK be the catalyst to a new Tech N9ne experience? 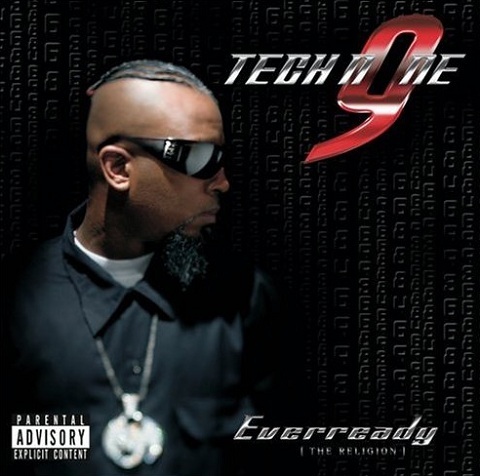 In 2006, following a four year delay, Tech N9ne unleashed what is arguably one of his most popular and beloved releases – Everready: The Religion. While the incredible reception to album could be partially attributed to the long wait, it’s also important to take note of the impact and change that took place within the structure of Everready. Like usual Tech N9ne reached out to several producers, including Rick Rock and The Legendary Traxster. But it was the involvement of a young Michael “Seven” Summers that really steered the new sound that Tech N9ne would be associated with for years to come. Hitting listeners with bangers like “Welcome To The Midwest” and “Bout Ta’ Bubble”, Seven began shaping a soundscape that drew a definitive line in Tech N9ne’s music from the days of Anghellic and Absolute Power. In short, Seven pushed a new era in the Tech N9ne brand and it came to a climax on the classic “Come Gangsta”. Since the days of Everready, Seven has gone on to produce hits for every major Tech N9ne release and listeners wouldn’t have it any other way. The first glimpse of KLUSTERFUK was released to fans as an exclusive pre-order download. “Blur” oozes out of speakers with its syrupy melody as ﻿¡MAYDAY!’s Wrekonize gave Tech N9ne an unfamiliar platform to lace with one of his many bizarre tales. The first steps have been taken. Now it’s a matter of how KLUSTERFUK fits into the Tech N9ne puzzle. If ¡MAYDAY! goes on to produce for Tech N9ne’s next full length, fans could be witnessing the very next shift or evolution of the independent king. It may be called KLUSTERFUK, but it all makes perfect sense. 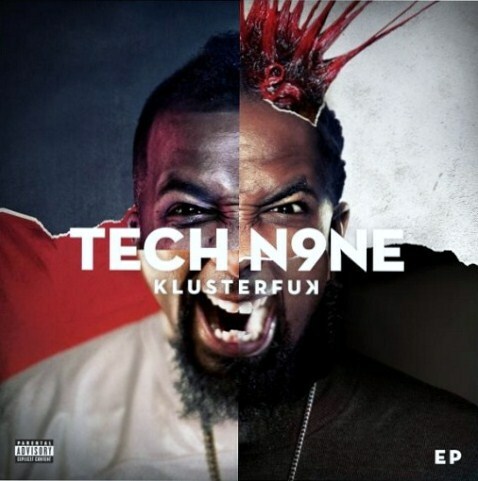 Click here to pre-order Tech N9ne’s KLUSTERFUK , produced by ¡MAYDAY! What do you think about ¡MAYDAY!’s role in KLUSTERFUK? Do you think they will bring change to Tech N9ne’s music?